This premium gaming display features NVIDIA G-SYNC, an IPS panel, and 120Hz refresh rate. 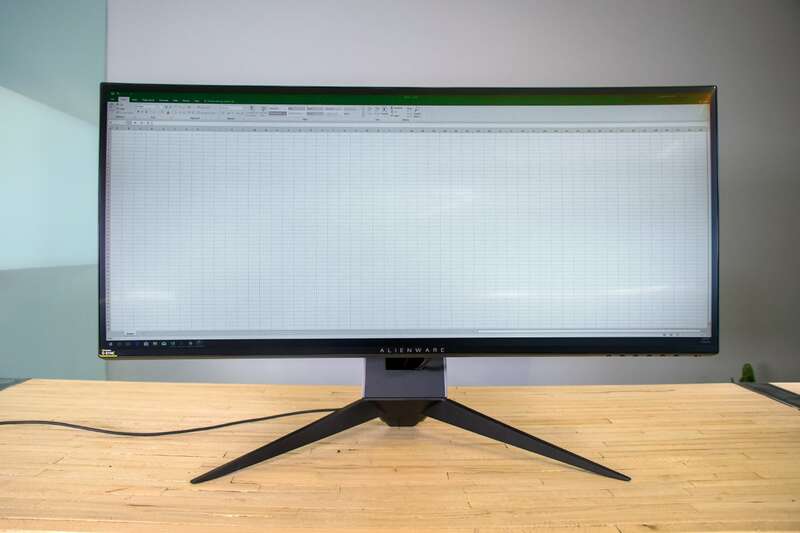 In the five months that have passed since the original publishing of this review, the Alienware 34-inch Curved Gaming Monitor has continued to serve as my main work and testing display. 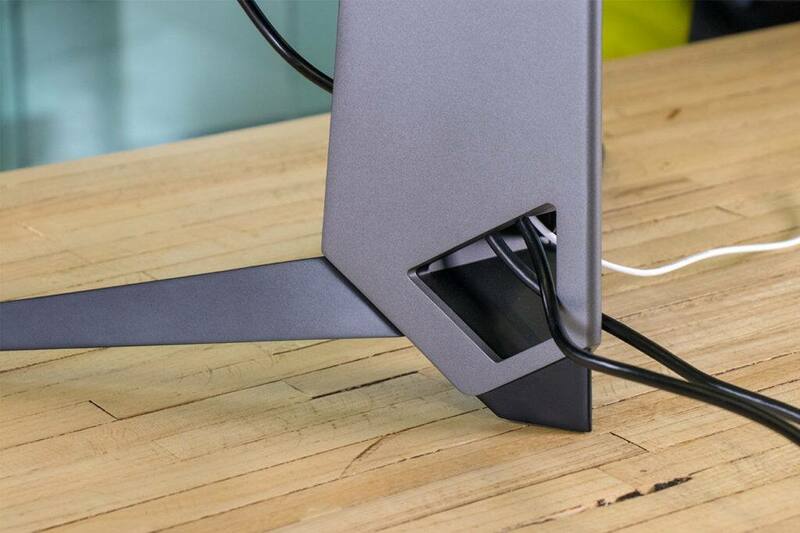 It's been moved all around, and has also aided in providing a productivity and gaming environment when reviewing other laptops and desktops. And even with a daily power-on time of roughly nine hours (weekdays), this Alienware monitor has given me zero issues. In fact, its image quality and performance are as perfect as they were on day one — I haven't experienced any discoloration, light bleed, or dead pixels. When the display finally makes its way back to Dell, the benefit I'll miss the most is having an ultra-wide desktop image. Not only is it immersive for gaming, it's also extremely efficient for multi-tasking and drafting creative projects. It will be difficult to go back to a dual-monitor setup after having experienced the seamless world of ultra-wide displays. 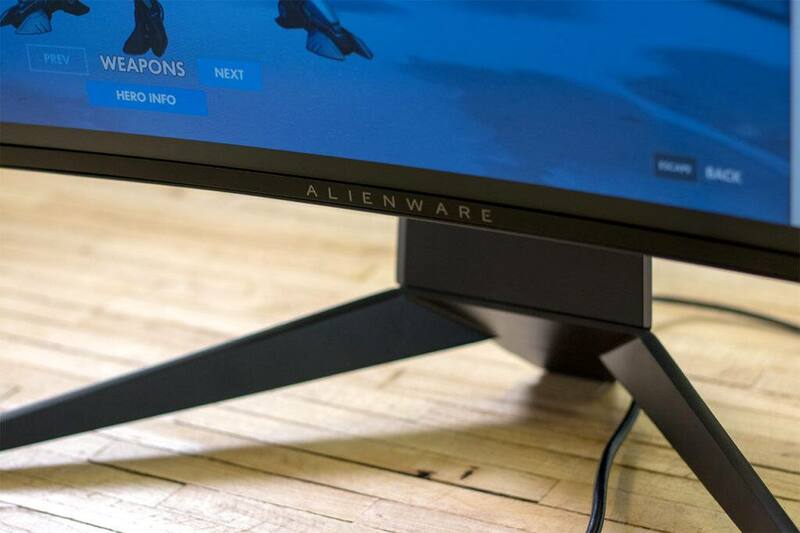 My favorable opinion of the Alienware 34-inch Curved Gaming Monitor remains unchanged, and it still sits atop my list of recommended monitors for PC gamers. Alienware made the jump to peripherals last year with the introduction of a gaming mouse and gaming keyboard. 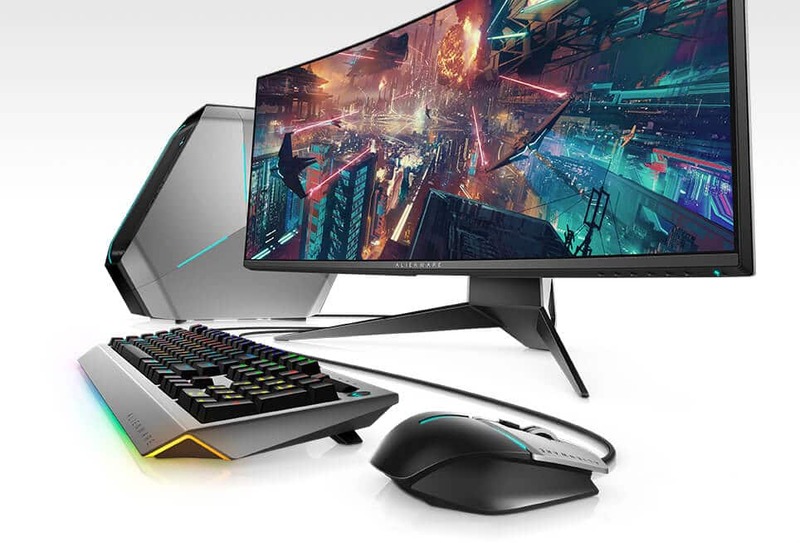 Now, the long-time gaming PC manufacturer is aiming to dominate the premium display market with its Alienware 34-inch Curved Gaming Monitor, featuring an IPS panel, NVIDIA G-SYNC and up to 120Hz refresh rate. 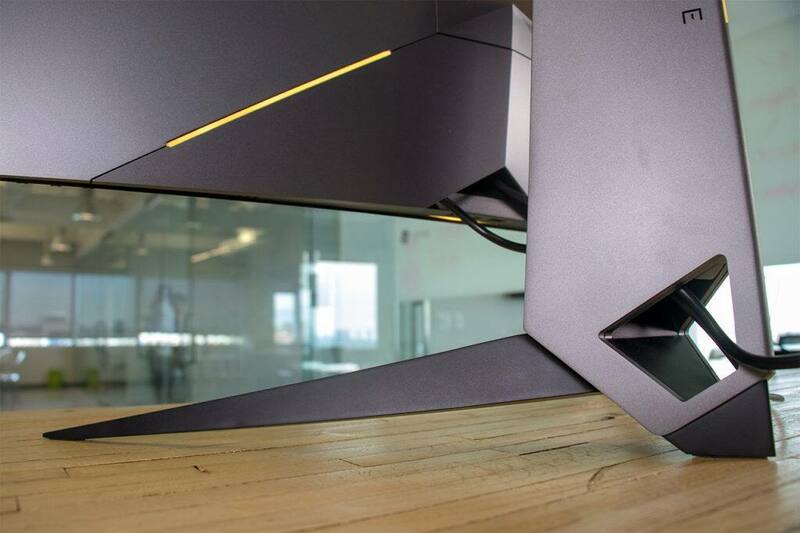 Was Alienware able to offer enough thoughtful design and uncompromising performance in its first-ever gaming monitor? I worked and played on this large display for the better part of a month in the quest for an answer, and am ready to share my findings in this hands-on review. 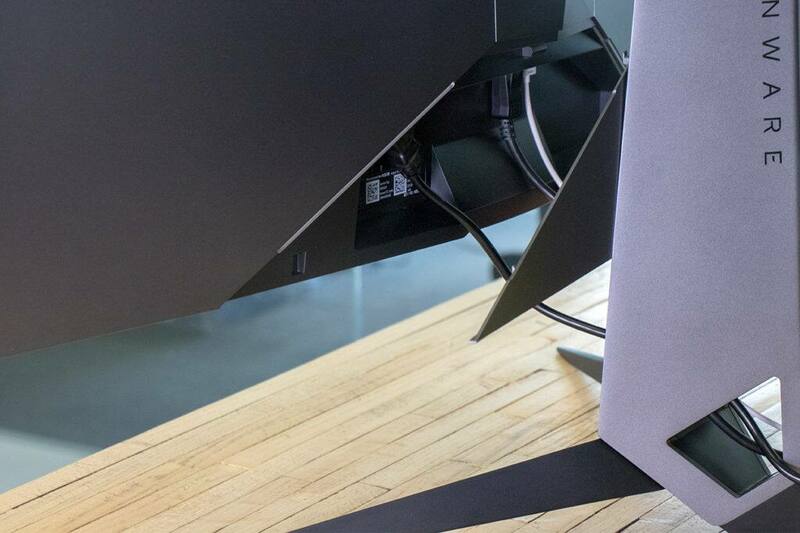 Special thanks to Alienware for loaning us a 34-inch Curved Gaming Monitor to review. 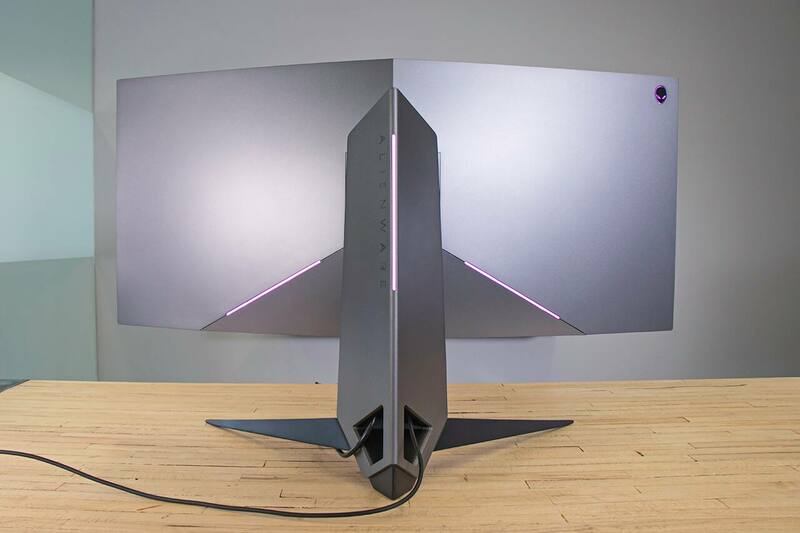 It goes without saying that the first thing I reveled in was the massive amount of on-screen real estate offered by the Alienware 34-inch Curved Gaming Monitor. The 21:9 aspect ratio and WQHD resolution allowed me to have two nearly-full-sized windows side by side for increased productivity while writing, creating content or doing research. My co-workers were equally as impressed. "Whoa! It goes all the way to column BA!" exclaimed our finance manager, as he drooled over how much work space was visible all at once in Excel. 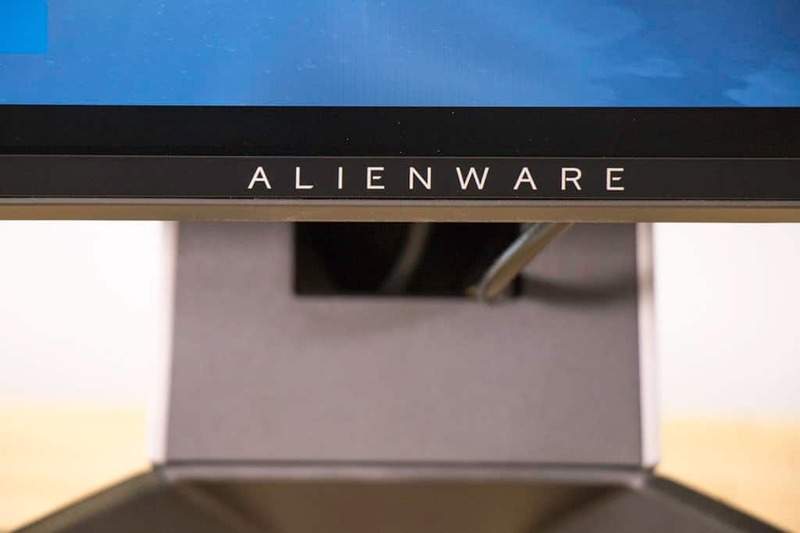 Having used this Alienware monitor exclusively in the office for the past month to edit photos, write articles and collaborate with others, I can attest to its capabilities as a professional display, and prefer it to a traditional dual-monitor setup. 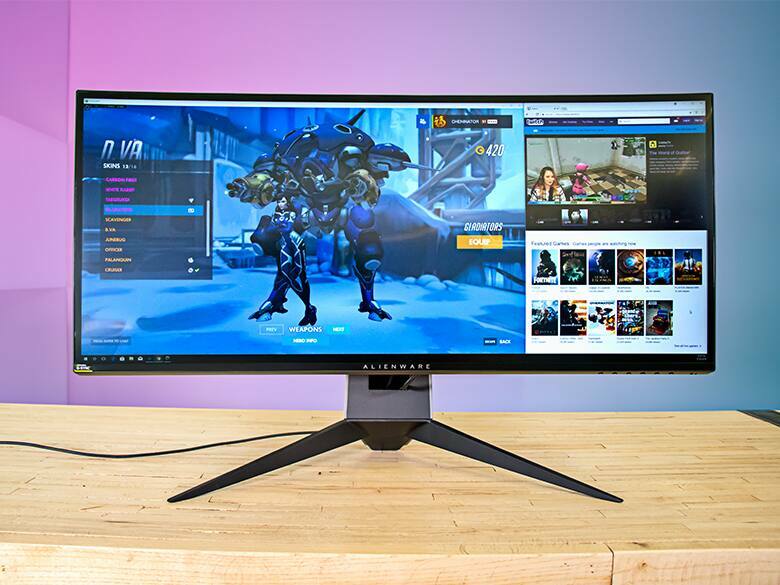 Alienware's 34-inch Curved Gaming Monitor offers everything a serious gamer would ever need -- silky smooth visuals with NVIDIA G-SYNC, high refresh rates (100Hz native and 120Hz overclocked), and a vibrant IPS display. Before using this monitor, I really thought curved panels were a bit of a gimmick -- could they really enhance the gaming experience that much? The answer is, "yes," and it surprised even myself. For games that support WQHD resolution (3440 x 1440 pixels), I'm able to increase the in-game field of view (FOV), essentially adding more peripheral vision. This enhanced awareness combined with the curvature of the monitor delivered an immersive sensory experience, especially when playing first-person games. 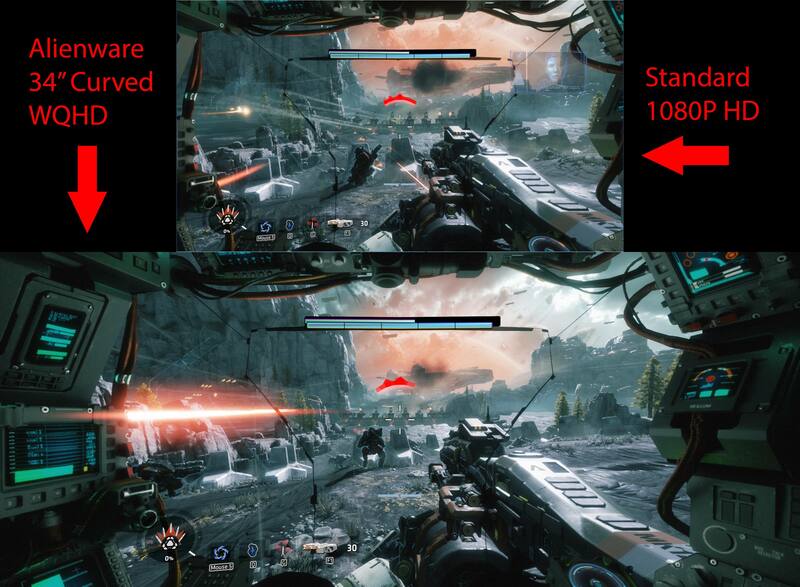 Take a look at the difference in "Titanfall 2" -- I've been missing out on one-third of the game's visuals! To unleash the monitor's full potential, simply connect it to a computer that uses an NVIDIA graphics card. The display's built-in G-SYNC hardware will then automatically adjust its refresh rate to perfectly match the frame rate produced by the graphics card, resulting in lag- and tear-free visuals. 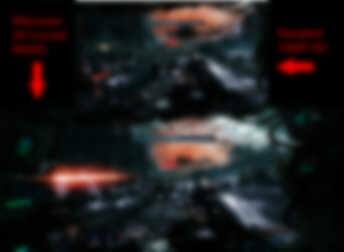 For those unfamiliar with the benefits of G-SYNC, this technology allows users to better see what's happening in real-time, which can improve reaction speed and aiming accuracy -- two important elements of fast-paced first-person shooters like "Overwatch," "Destiny 2," or the ever-popular "CS:GO." If you're looking for the ultimate gaming monitor, this is it! I was also particularly impressed with the display's out-of-the-box color tuning. 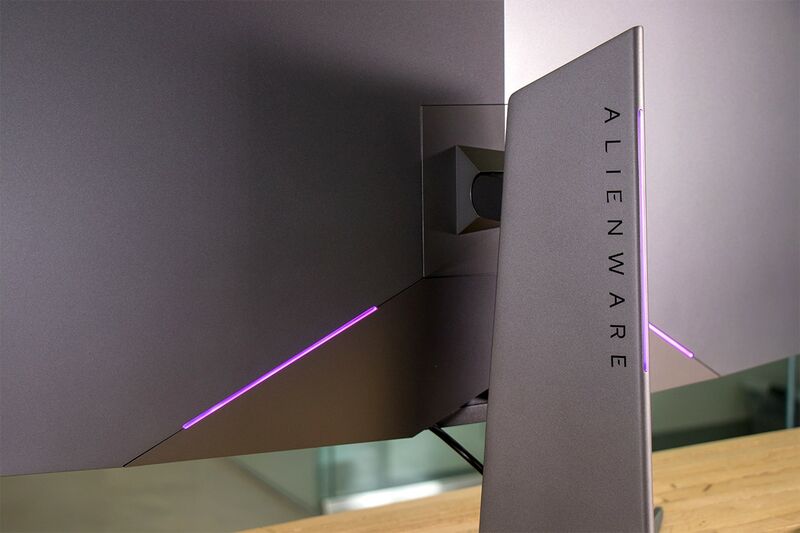 Other popular and similarly-spec'ed monitors require quite a few manual adjustments to get the colors to look just right, but this Alienware monitor was accurate from the start. I only needed to step up the brightness a few notches to compensate for the office's bright fluorescent lighting; otherwise, it's truly plug-and-play. Six buttons on the lower right corner of the monitor act as customizable settings shortcuts and also on-screen display navigation. 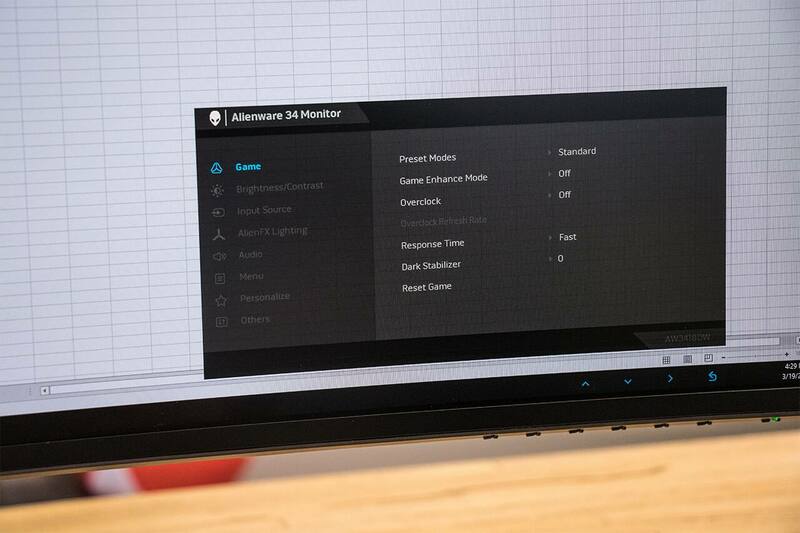 In this menu, you can quickly adjust presets, game modes, overclocking, and more. 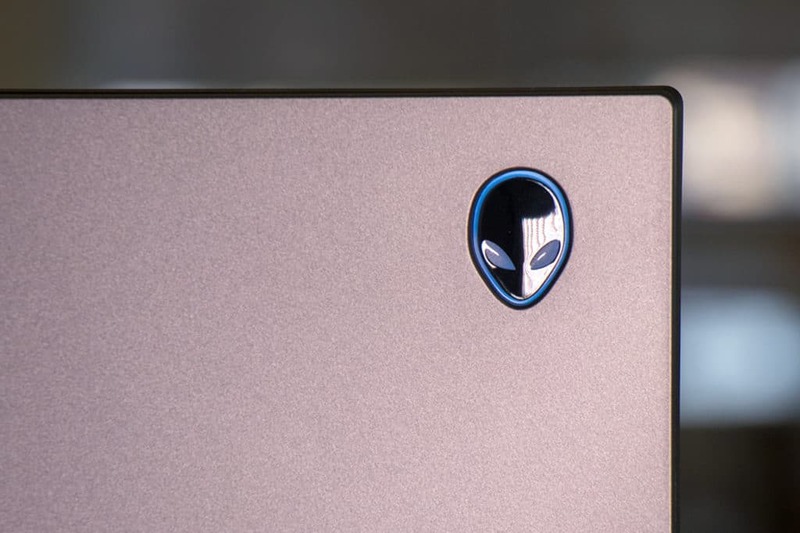 Of course, no Alienware product would be complete without the AlienFX lighting system. Four customizable zones -- logo/back side, stand, bottom bezel and power button -- give this flagship peripheral an extra bit of visual flair, complementing any of your existing Alienware products and accessories. 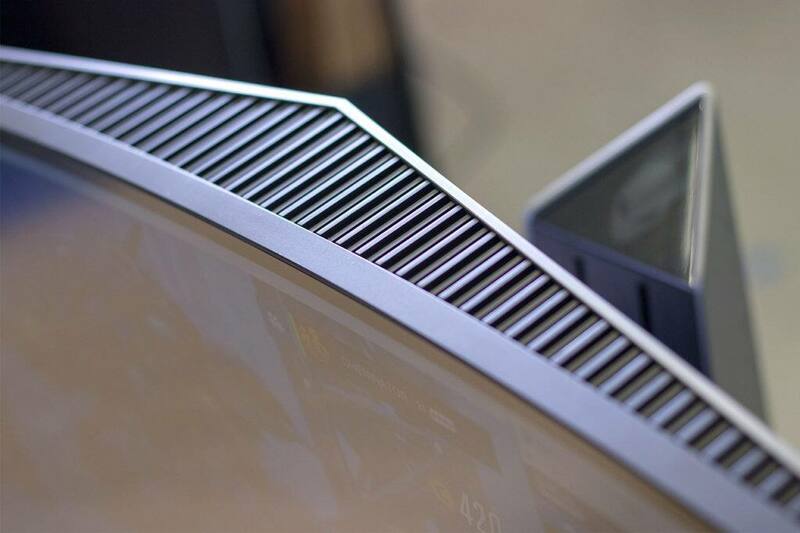 Should You Buy the Alienware 34-inch Curved Gaming Monitor? If you're looking for the ultimate gaming monitor, this is it! Drawing from my many years of PC gaming, I couldn't find any faults with this Alienware monitor. Its 4 ms response time is perfect for all but the top one-percent of professional players, and the IPS panel delivers excellent color accuracy, brightness, contrast and viewing angles. 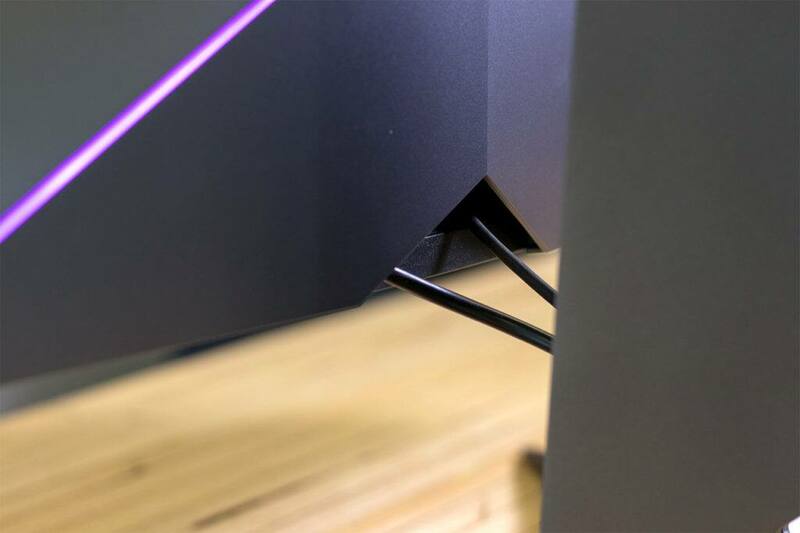 Even in its physical design, the Alienware monitor stands out from the competition with thoughtful features like a removable back panel to conceal wiring connections, USB 3.0 pass-through, and cable management built in to the stand. If I had to be really picky, I'd say the AlienFX lighting could have been better implemented, as all but one of the LED effects are hidden behind the monitor. But that's a tiny qualm, especially considering that I don't normally notice the RGB lighting in my keyboard either since I'm so focused on what's happening on-screen during a game. 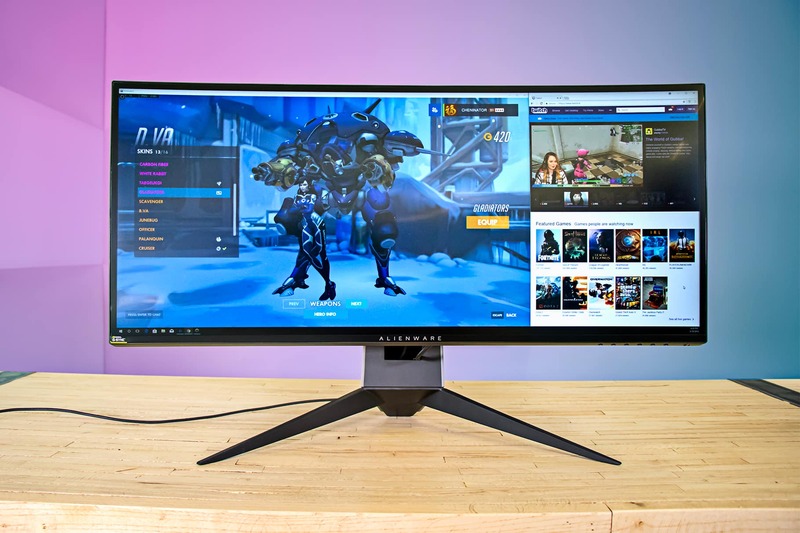 With its current price of $1,149.99 (at time of publishing), the Alienware 34-inch Curved Gaming Monitor is definitely not in everyone's budget. Keep in mind that the total cost is about the same as having a dual-monitor setup, though, and G-SYNC adds around $200 to the retail price -- it's NVIDIA's fee for using a superior technology. 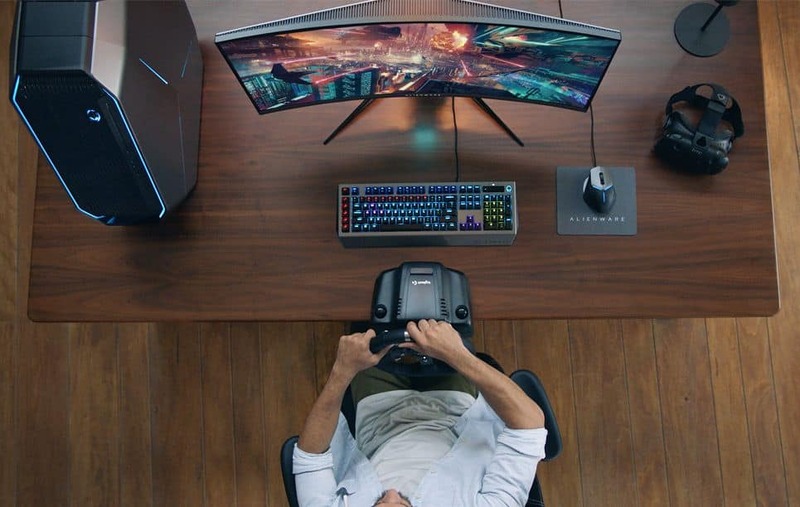 Overall, the Alienware 34-inch Curved Gaming Monitor is an amazing premium display that offers uncompromising performance, and satisfies all the needs of a serious gamer. And I'm not alone in that sentiment either -- Slickdeals user BLUESLATE84 says, "it is one of the most stunning displays I've ever laid my eyes on. Definitely recommended!" Keep an eye out for Dell rebates on Slickdeals, or set a Deal Alert to be notified when the Alienware 34-inch Curved Gaming Monitor goes on sale. It's been seen as low as $900 on Slickdeals.